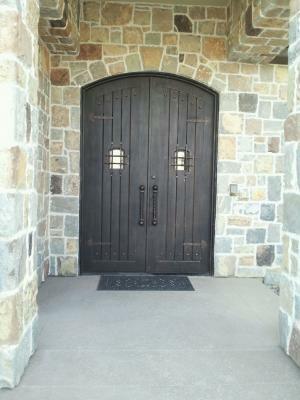 Pictured above is a unique wrought iron entry door recently installed in St. George near Hurricane and Washington, Utah. Long lasting and secure this iron front door will last a lifetime yet is unique and elegant and makes a great first impressionist. 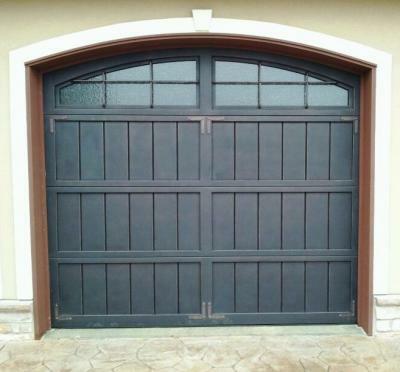 Signature Iron Doors is the leading manufacturer of quality custom iron products, creating custom front iron doors, iron garage doors, wrought iron railing and ornamental iron gates. The scroll work on our iron entry doors is hand forged by fire and our iron garage doors are insulated units that we can build custom to match the existing iron work on your home. Click here to visit our website and view our photo galleries and contacts us to speak to a representative and receive a quote.